Kia Ora. Explore and connect with a world of knowledge and ideas. There's always something new to discover at our libraries and community centres. 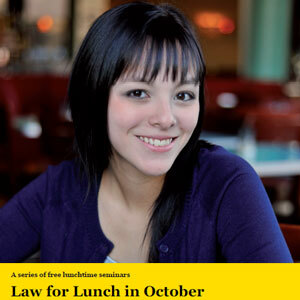 Law for Lunch is back this October! Wellington City Libraries are continuing our popular Law for Lunch series this October — offering free lunchtime talks by legal experts on popular topics, in a joint initiative with Community Law Centre Wellington and Hutt Valley. Our topics in October range from the legal issues around body corporates, to knowing your employment rights on a work visa, how to avoid dodgy debt, and much more (take a look at the programme below!). If you are interested and would like to learn more, bring your lunch and come along — questions welcome! All the speakers are highly regarded experts in their field and the information is presented in a way that’s easy to understand, no matter what your level of knowledge on the topics.